Since IDA's DocuClub was relaunched in 2016 as a forum for sharing and soliciting feedback about works-in-progress, many DocuClub alums have since premiered their works on the festival circuit and beyond. In an effort to both monitor and celebrate the evolution of these films to premiere-ready status, we reached out to the filmmakers as they were either winding their way through the festival circuit, or gearing up for it. 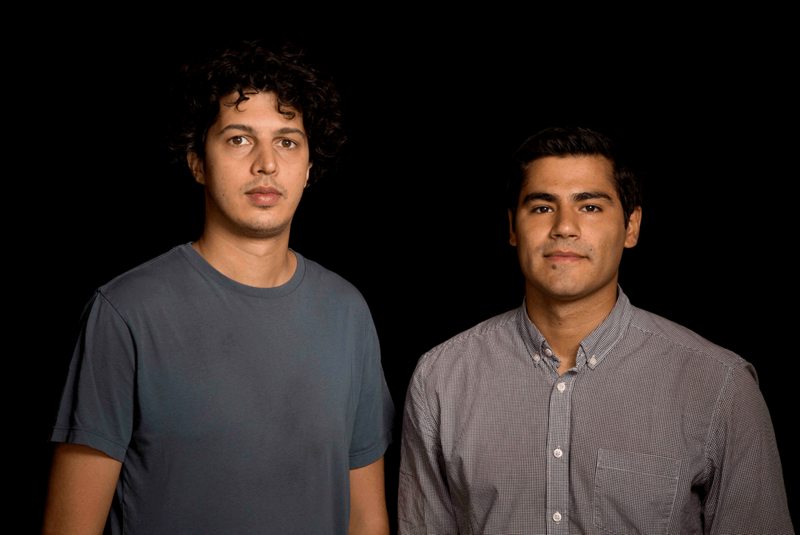 In this edition of "The Feedback," we spotlight Andrés Caballero and Sofian Khan’s The Interpreters. We caught up with Caballero and Khan via email as they were touring the film on the festival circuit This interview has been edited for length and clarity. Synopsis: The Interpreters follows Iraqi and Afghan interpreters who worked with US forces, and who are now targeted by insurgents as a result. While some have reached safety, others are stuck in hiding—and those with no other hope have set out for Europe and the US with the help of smugglers. How did you meet your protagonists, Philip, Malik and Mujtaba? Andrés Caballero and Sofian Khan: We met Phillip after producing a conversation between him and Paul Braun for StoryCorps on NPR. We soon realized that the story of the interpreters was more than the friendships that formed between them and the US troops. As compelling as Phillip’s success story was, it wasn’t the full depiction of the danger and struggle most interpreters face while waiting for their visas, in hiding and in fear of being killed. Volunteers and organizations like the International Refugee Assistance Project and No One Left Behind, which advocate on their behalf and help them get situated once they do get their visas, helped put us in contact with Malik, who was in Kabul, changing homes with his family every other week in order to stay safe. A Colorado-based volunteer who had worked with refugees in Greece helped put us in touch with Mujtaba, who had recently attempted to cross the sea from Turkey to Europe with his family. Talk about the challenges of following their respective stories, given that they largely take place in dangerous, wartorn territories? 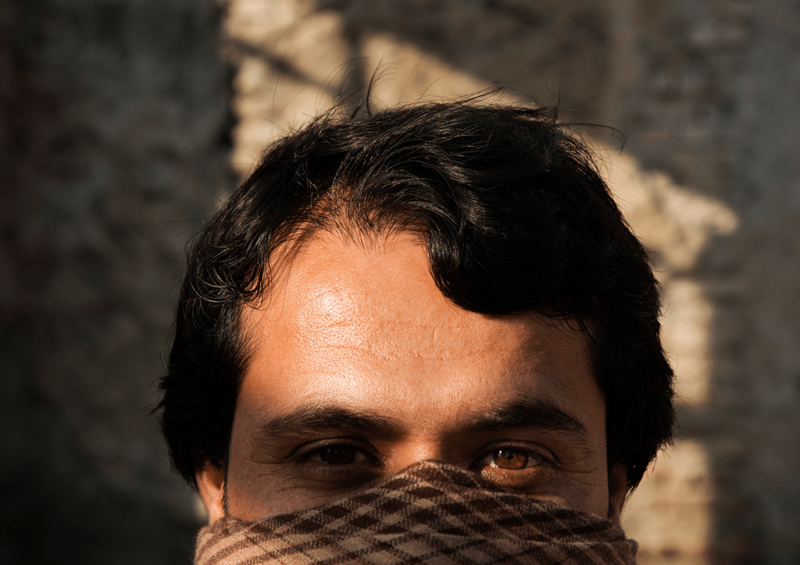 Filming with Malik in Afghanistan had its complications, considering that he was trying his best to keep a low profile. We did our best to fit in, take a circuitous route to meet him and keep our gear out of sight during our time with him. But the real challenge for us was getting footage of Phillip with his family in Iraq. When that part of the story was unfolding, we had very little money to work with. But, more importantly, there was a real question of security since this was during the period when ISIS was at its zenith. It would have potentially drawn unwanted attention to Phillip and his family had we been there on the ground. So instead, we gave him a small camera to take with him, and periodically checked in via WhatsApp to talk about what kind of shots we needed. His brother, in particular, was really helpful getting other material after Phillip made his way back to the US. Although we were concerned at first about working this way, the material we got felt really strong, and we worried less and less as we continued about the mix of formats and framing that eventually became part of the film’s visual world. You share directing credit on this film. How did you divide up responsibilities—and arrive at a common ground artistically? We each have our strengths but we also manage to do a little bit of everything throughout the filmmaking process. This was our second feature documentary together and it’s been a solid collaboration so far. On the field, one of us runs camera and the other focuses on sound. We both chime in on the interview process, and prior to that, we meet and talk about the possibilities that each shoot may bring, the types of scenes that could unfold and the visuals we want to try and capture—although in documentary there is often more than enough room for improvisation and adjusting to situations. Besides the visuals we also go over the types of elements we want to touch on during any of the sit-down interviews. During the interviews, while one of us might focus on interacting with the interviewee, there is always room for the other to bring up questions. And in post-production we often edit clips and go through footage together until we feel it’s time for an outside eye to help us make things better. 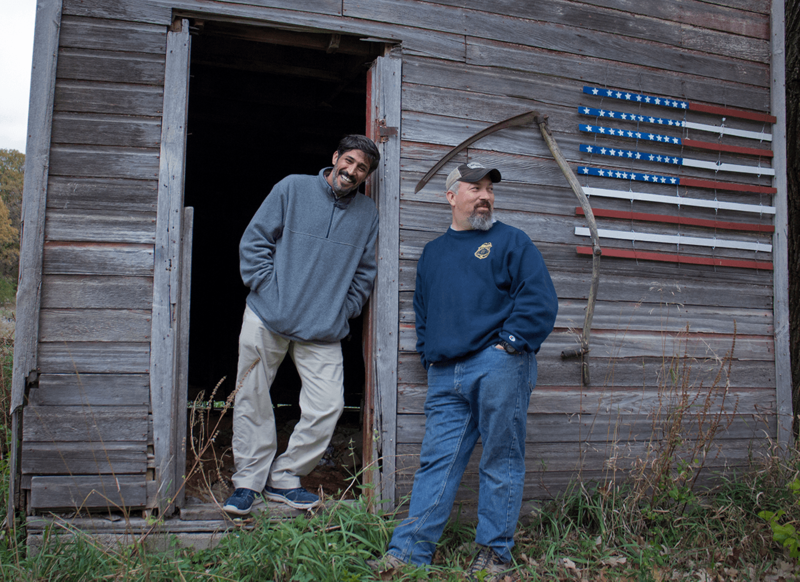 One of your protagonists, Paul Braun, a US military veteran, establishes a deep friendship with Phillip, and assumes the responsibility of helping to secure Special Immigrant Visa (SIV) status for him and his family and bring them to the US. Yet, judging by his bumper sticker, Paul is a Trump supporter—or, at least, he voted for him. How does Paul square his compassion for Phillip—a Muslim and a refugee—with Trump’s inflammatory rhetoric and actions regarding both? That question is probably best for Paul to answer. We do get some sense of his politics in the film, but for him and for Phillip their friendship transcends the politics. And, like us, they’re both concerned that the government’s Special Immigrant Visa program, which is designed to bring interpreters to safety, isn’t working. Now that Phillip is in the US with his family, it’s hard to know where Paul stands in regards to the majority of interpreters who remain in danger and who are caught up in new extreme vetting measures that have slowed down the visa process even more. It is worth mentioning that, although in the past the cause of bringing interpreters to this country has had bipartisan support, we’re seeing that start to change now. With Senator John McCain’s passing, the Republican champion on this issue is no longer with us. And, under the current administration, we are seeing the number of visas being issued drop drastically, along with discussion about terminating the program altogether. That’s why it’s really important for veterans and Republicans who understand the moral responsibility we have towards these courageous people to weigh in on this issue. Along those lines, there are hints of racism that your protagonists encounter as they adjust to life in America—specifically Phillip, who has difficulty finding housing. Have your other characters experienced racism as the US becomes more polarized? Aside from Phillip’s experience while applying for housing, we didn’t hear any other interpreters we worked with facing racism once in the US. But Malik, for example, experienced a glimpse of the stress created among migrant communities all over the world, and in the US, once the travel ban was implemented at airports and ports of entries. 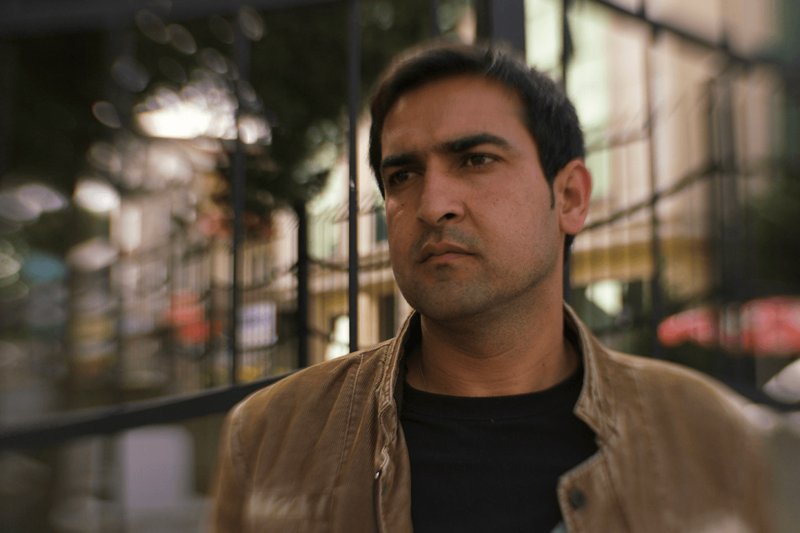 While Malik waited for his visa to get himself and his family to safety, he closely followed the policy Trump was pushing forward, and at one point he and many others in Afghanistan were worried that Afghanistan was going to be added to the list of banned countries, because of comments made by administration officials. As all of this was unfolding, we wondered how Malik was perceiving the travel ban, and if he was nervous that the country where he was seeking asylum was trying to block people from Muslim-majority countries from entering. Have you shown this film to key figures in the State Department and the Pentagon, or to members of Congress? What was the feedback? We’re not sure if any members of Congress or government have watched this film yet, but soon after the premiere we received a call from the office of Sen. Jeanne Shaheen (D-NH), who has been in the trenches of the battle to get interpreters to safety by improving the visa system. Hopefully we will be teaming with her office to organize a Congressional screening in the near future. We had just completed a cut that we felt had all of the ingredients, but it definitely wasn’t mixed together in the right order or in the proper amounts. So we were hoping to get feedback on what needed to be cut down, what we needed more of, and whether it was making sense. Whenever you are weaving multiple storylines, the balance is the hardest part, and so we wanted to see how much of each character people needed to see [in order to] to connect. We were excited to get the invitation from DocuClub. It was our first screening, so we were definitely nervous. But thanks to the encouragement of our collaborators at ITVS, we went ahead with it. In particular, our wonderful supervising producer, Shana Swanson, gave us her blessing to share the film with an audience at this crucial stage in our editing process. And our editors, Francisco Bello and Fabián Caballero, were there to soak in all of the helpful feedback. What were the central challenges in your film that you felt could benefit the most from the DocuClub screening, and what were the most valuable takeaways from the screening? One of the main challenges in our film was interweaving the stories of three different interpreters in multiple locations, while maintaining clarity and allowing the viewer to follow their journeys. The DocuClub screening really helped gauge where we were in terms of whether or not the structure and interweave of these three storylines were landing. One of the most valuable takeaways of the screening was the way the audience reacted to the moments we thought were emotionally charged or the ones where we wanted to bring levity through humor, in the middle of a very sad and dark story. We weren’t surprised that people were strongly connecting with Phillip’s story. But we were surprised that many in the audience suggested this was too much of a good thing, and that it was overshadowing the others. That’s probably only the kind of feedback you get in a room full of filmmakers. But they were right. It was just hard to go back, with the scissors, to some of your favorite scenes! The key changes involved the restructuring of the pre-title sequence, which introduces each character and is supposed to give you a clear sense of what to expect and what the film is about. We had been struggling with that going into the screening and we came out with a more solid plan just days later. Another key change was balancing out the amount of content from Phillip’s story, which we had the most access to, with the narrative of the other two characters that we had spent less time with. In order to solve this, we had to make some serious trims to Phillip’s storyline. What were the key factors that determined that your film was ready for your festival premiere? Once we’d balanced the storylines, the pace felt much tighter. That was when we knew we were at least ready to start submitting the film to festivals. And, frankly, once we got accepted to Mountainfilm Telluride, that was the key factor that determined that we were ready for our premiere. We had about a month to do more polishing, secure the festival rights for our archival material and figure out all of the logistics of getting our subjects to the premiere. Everything worked out and we’re now about 15 festivals into our run, with our broadcast slated for next year. When you premiered your film, what were some of the reactions, questions and observations that you found most surprising and unexpected? The wars in Iraq and Afghanistan are not a priority in the minds of most Americans, which posed a big challenge for our war-related documentary entering the industry’s distribution circuit. After the premiere and a dozen-plus festivals later, we have run into much more interest than we expected in the topic, and in this group of interpreters who are simply trying to rebuild their lives. We have found that audiences all over the country are touched by the struggle of interpreters and that they seem disturbed enough to assume the moral responsibility owed to them. At every screening, people from all walks of life and members of organizations working with refugees and interpreters are trying to figure out how they can get involved or how they can use the film to raise more awareness.